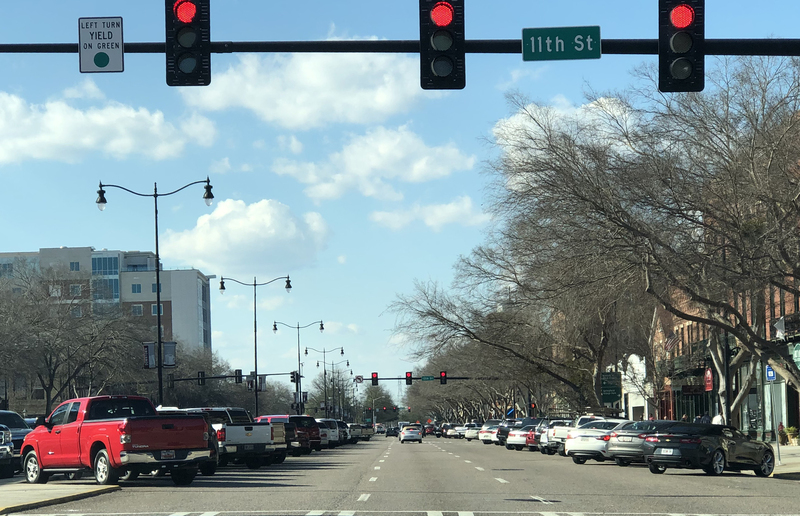 A plan to better manage parking in downtown Augusta moved toward its first phase, hiring an expert to help with the plan. A plan to better manage parking downtown passed its first hurdle Tuesday when an Augusta Commission committee approved allowing city officials to send out a request for proposals to hire a parking expert. The Engineering Services Committee voted unanimously to authorize a Request for Qualifications to hire a firm to help assist with developing the parking management plan. The move must be approved by the full commission next week. The move is one of the recommendations that came from a parking task force headed by Mayor Hardie Davis and seeks to get beyond previous efforts that looked at parking management for downtown. “There were several stop/starts in previous commissions,” Davis said, and the task force did a “yeoman’s job” of looking through all of that preview work and information to come up with the recommendations. “There’s a tremendous amount of good work that has been done,” he said. The proposed area would cover Broad Street from Fifth to 13th streets and the side streets on either side of Broad for a block, Ussery said. The proposed rate would be $1 to $1.25 per hour, with a possible two-hour maximum, to potentially create one or two open spaces per block at all time. The rate could be charged for a physical space, possibly through kiosks located every half block, or by entering a license plate number. The driver would be able to park and then relocate within the zone without having to pay again or leave time behind, Ussery said. “My half-hour is connected to me, not to a physical parking spot,” he said. It will probably take a few months to get through the procurement process before the expert is hired, Ussery said. The recommendations envision that the expert would become the system’s “third-party manager.” Architect Chris Booker and developer Ryan Downs, who both work downtown and served on the task force, said they have not heard much opposition to creating a parking management program from other area businesses. “I haven’t had a lot of objectors,” Booker said, adding that some who were previously opposed are now for it. The task force wants whoever is hired to be the parking manager to hold town halls to let people have input on the plan, whose details are not “set in stone,” Booker said.